Job Classification: Fixed Term Contract (Third Party Contractor – 6 months, contract extension is subject to the Operational need). Plan and Coordinate Geological Operations for Exploration wells drilling in the South Makassar Basin. In collaboration with Subsurface Project team and Drilling team, the office based Operations Geologist will help to plan and execute well operations. The Operations Geologist will be responsible for delivering high quality daily and final geological reports and lithological logs and help to ensure that pre-drill well objectives are met by coordinating between the reservoirs and drilling teams. It will be the responsibility of the Operations Geologist to ensure that the Well-site Geologists maintain a high standard of detailed lithological descriptions and collaborate with drilling in understanding and problem solving geotechnical related issues that are encountered while wells are being drilled, and to follow up on those issues so that lessons are learnt and recorded. Provide input to well proposals. Coordinate with drilling and reservoir teams to ensure well objectives are clearly defined. Tender and evaluate Formation Evaluation related services, such as LWD, Wireline logging, mudlogging, and other required services. Work closely with The Company petrophysicist. Ensure Well-site Geologists are competent and prepared for well operations. Ensure a high level of geotechnical service performance by briefing and auditing service providers. Set measurement and reporting standard, generate protocol documents as per The Company requirements. Supervise Well-site Geologists in delivering high quality records of events and lithology. Frequently meet with service provider representatives to address issues with equipment and deliverables. Check service invoices to ensure the company is correctly charged for Mud-logging, Wireline and LWD services. Ensure services deliverables meet pre-defined company and government requirements. Follow up and close out all geotechnical issues that were encountered during well operations. Prepare and finalize Geological end of well report and lithological/composite log. Assist with reporting and review process with functions, partners and SKK MIGAS. Assist geologist/engineering team in preparing end of well reports. Assist with compilation of well proposals. Participate in DWOP and LWOP and prepare any required materials. Provide budgetary input regarding Mud-logging, Wireline and LWD services. Fully support and Comply with company’s vision to achieve cost effective drilling. Mentor Company’s Geologists in Geological Operations and relevant interpretive techniques. Minimum Bachelor Degree in Geology and knowledge of interdisciplinary geosciences. 10 years plus experience in geotechnical wellsite operations, gained working as a mud-logger, LWD engineer, or Wireline Engineer. Deep understanding of drilling and related Geotechnical operations and procedures gained through extensive rig-site Geological experience. Experience in the planning and execution of formation evaluation campaigns for operated wells, in collaboration with subsurface project teams, drilling and completions personnel and overseas field operations bases. Experiences with the pore pressure evaluation and carbonate reservoir. Knowledge of modern LWD and wireline logging tools, both the technology and best-practices for operations. Knowledge of mud-logging technology, the acquisition and preservation of whole core and sidewall core, and the acquisition of rock and fluid samples in general. Knowledge of pore pressure evaluation and carbonate reservoir characterization is highly desirable. Knowledge of tendering and contracting process for Formation Evaluation related services. Knowledge of proper workflow and procedures according to regulatory and Company standard & procedures and applicable best practices both local and international. Attention to detail with record keeping of geotechnical well data and events. Strong interpersonal skills and team work. Ability to clearly communicate and address issues to all stakeholders. Excellent reporting and communication skills both oral and written. Comply with requirements safety, health and environmental laws of the country and to practice company’s safety system. High level of professional and personal integrity. Position is for Indonesian National only. Applications will be closed on 26 Nov 2017. 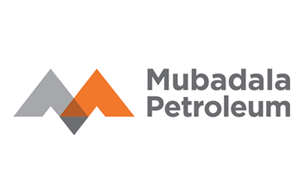 Thanks for reading Mubadala Petroleum Jobs: Operation Geologist. Please share...!